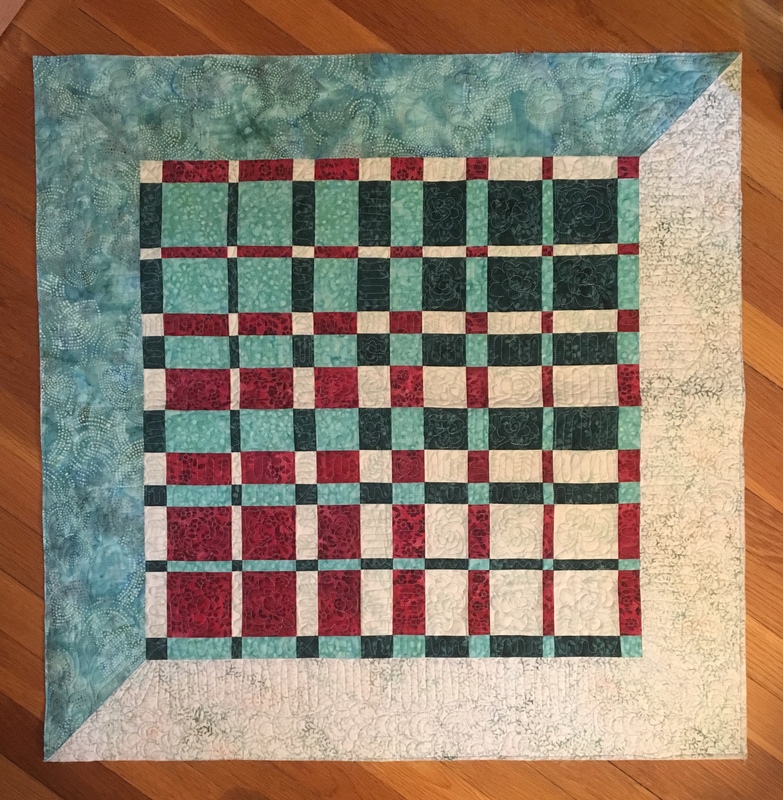 Start with four 16″ squares. 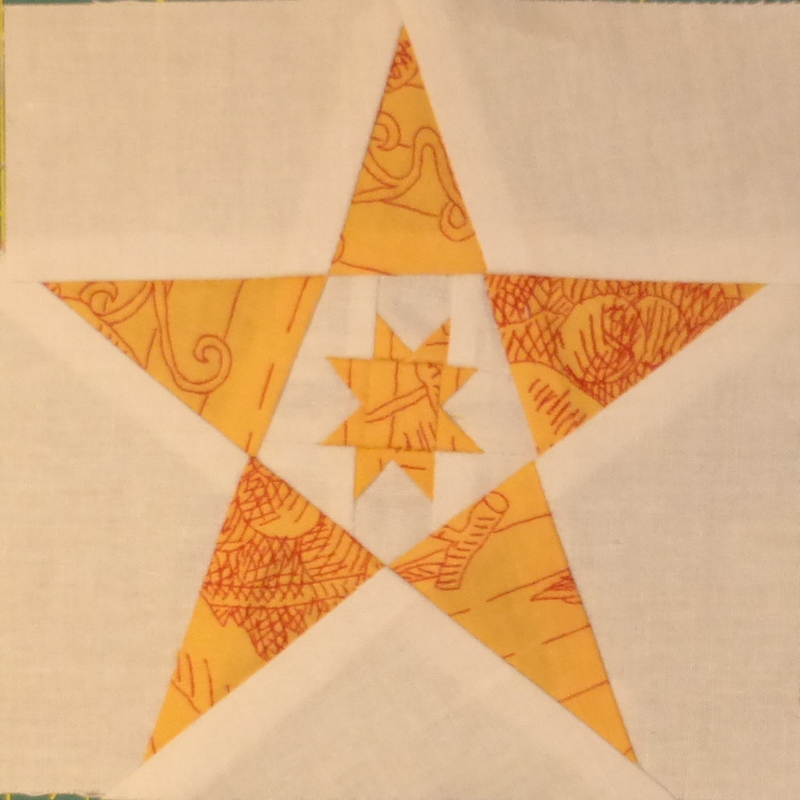 Sew them together is pairs, layer the four squares and then cut strips increasing in size by half an inch from 1″ to 3 1/2″. 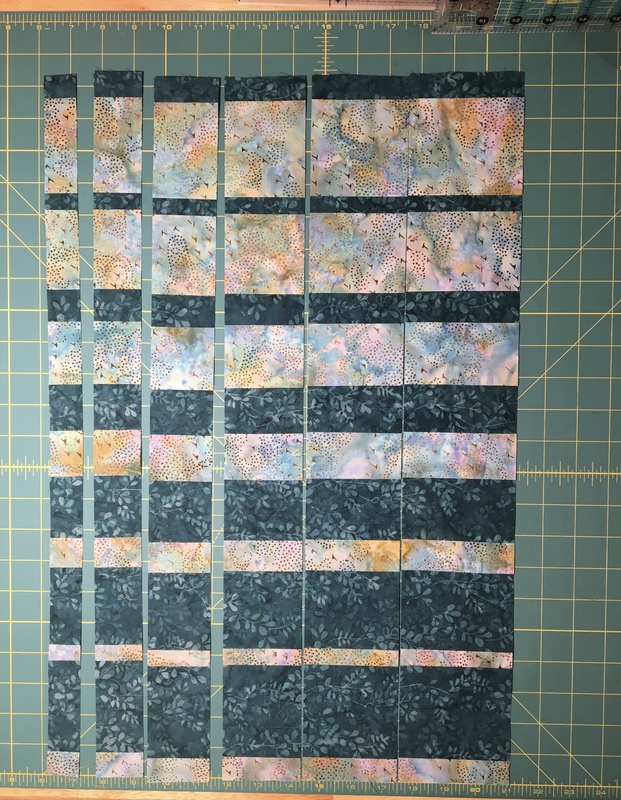 For the quilt in the photos there was enough fabric left over, so I cut an extra 1″ strip and used it as a border. 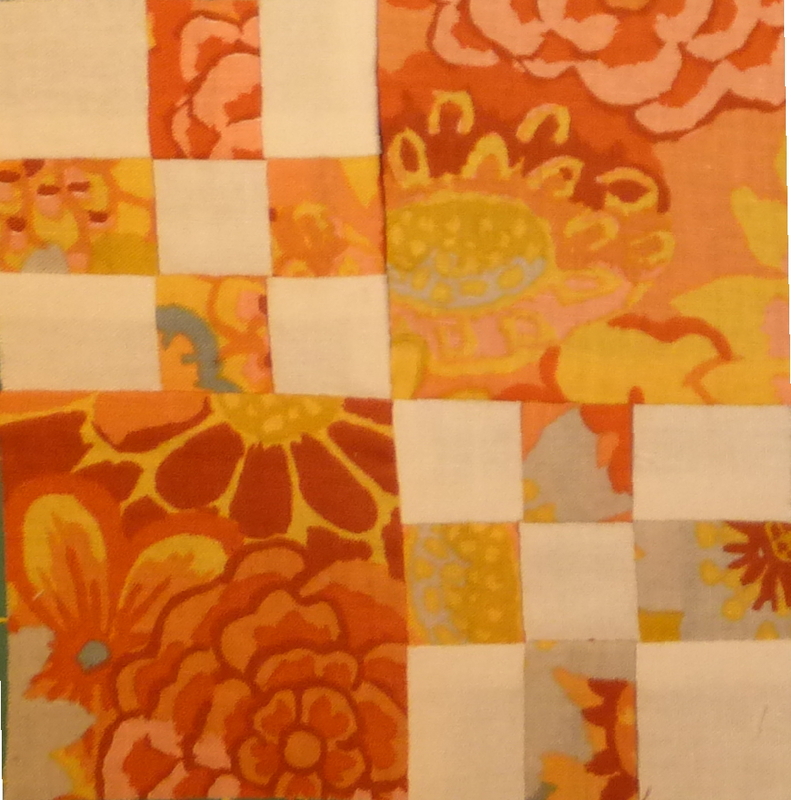 Open up the strips and then rearrange them as shown here (click to zoom in on any of these photos). 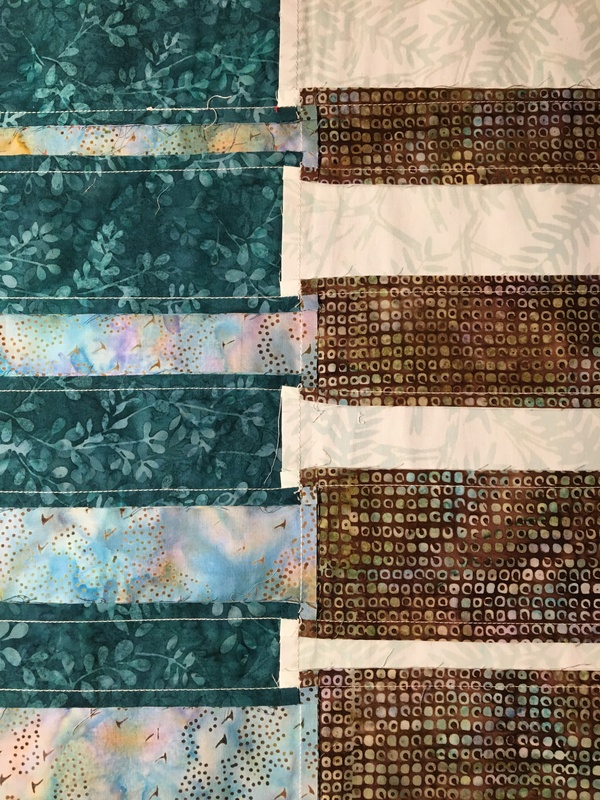 Looking at the photos of my finished quilt tops above, I am going to point out that on my turquoise and red quilt the strips are not arranged correctly! 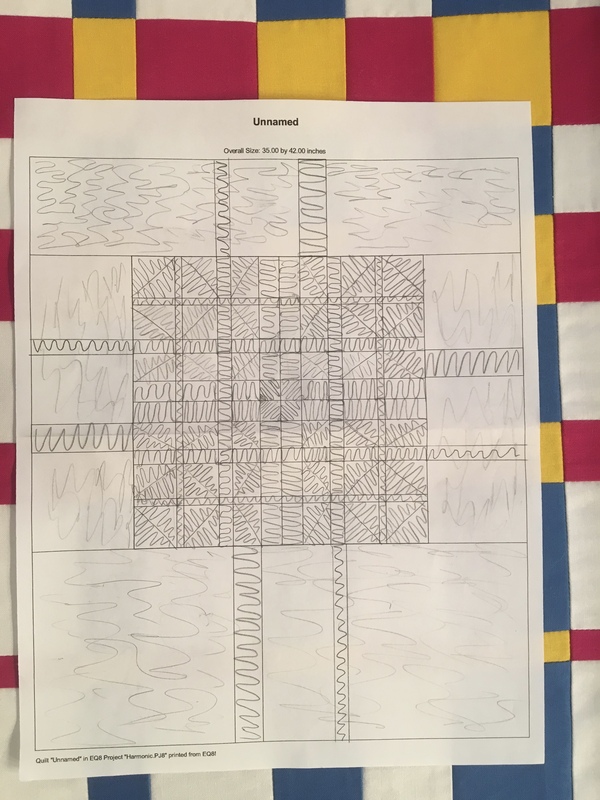 Can you see what I did wrong? 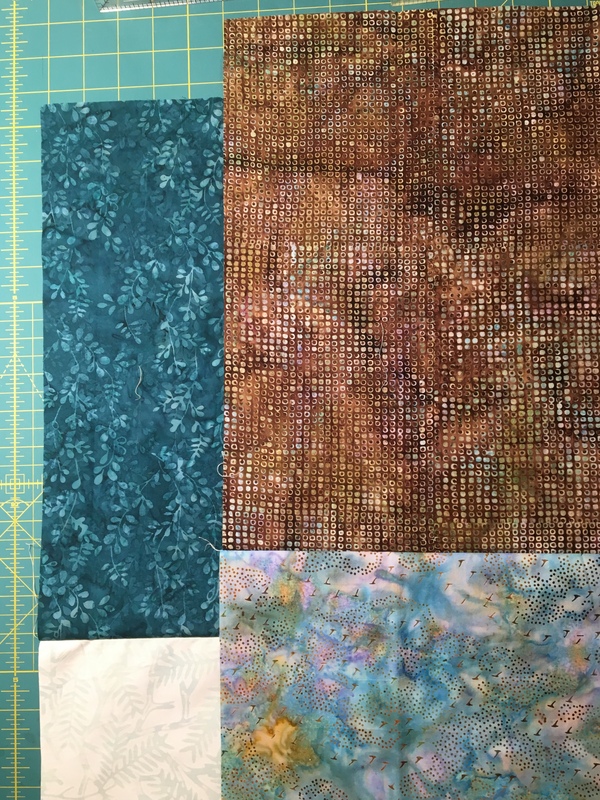 Does it matter??? 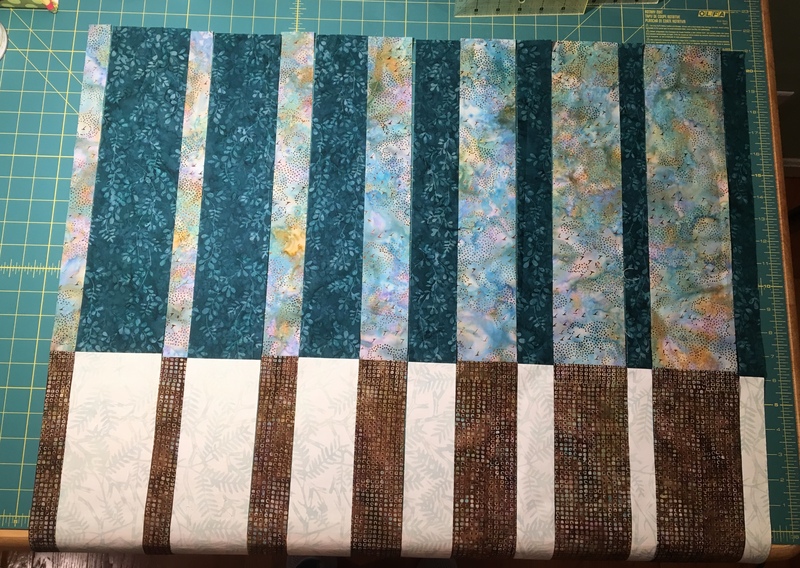 Once the strips are arranged CORRECTLY, sew them all together. 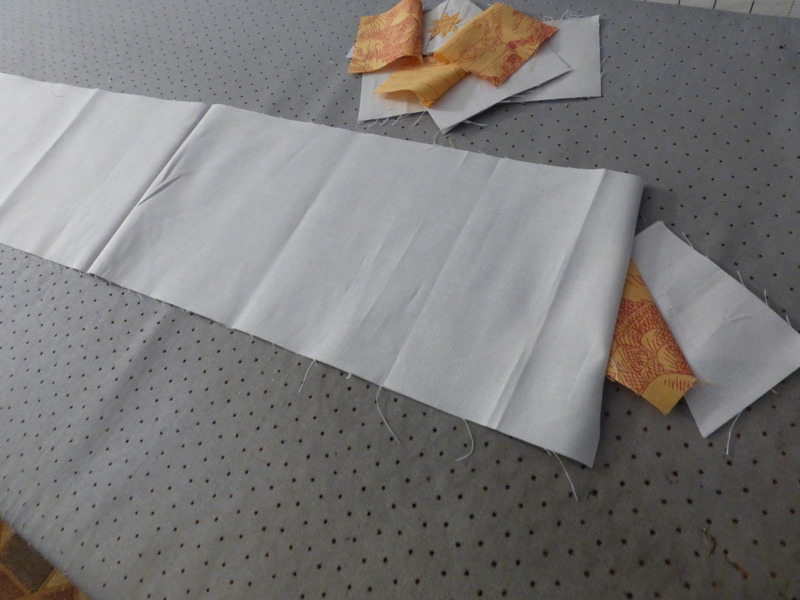 When I was pressing the seams, I rotated or twilled the seams so that half of the seam was pressed to one side and the other to the opposite side. 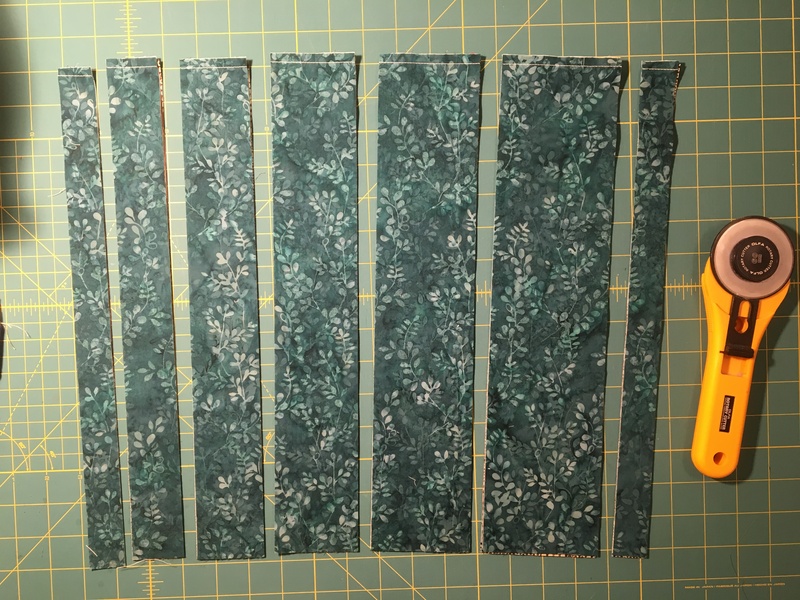 Trust me, do this and it will be much easier to sew the second go round of strips together, because everything will nest together nicely and increase your accuracy. 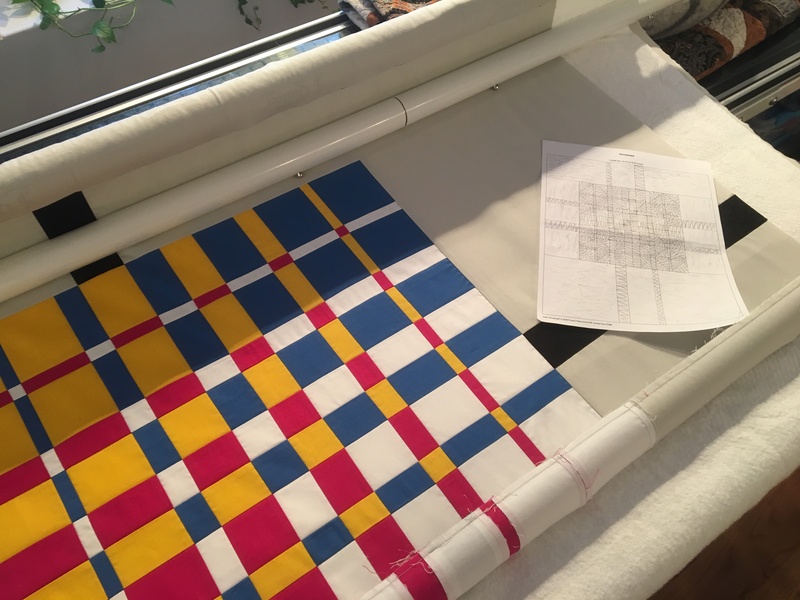 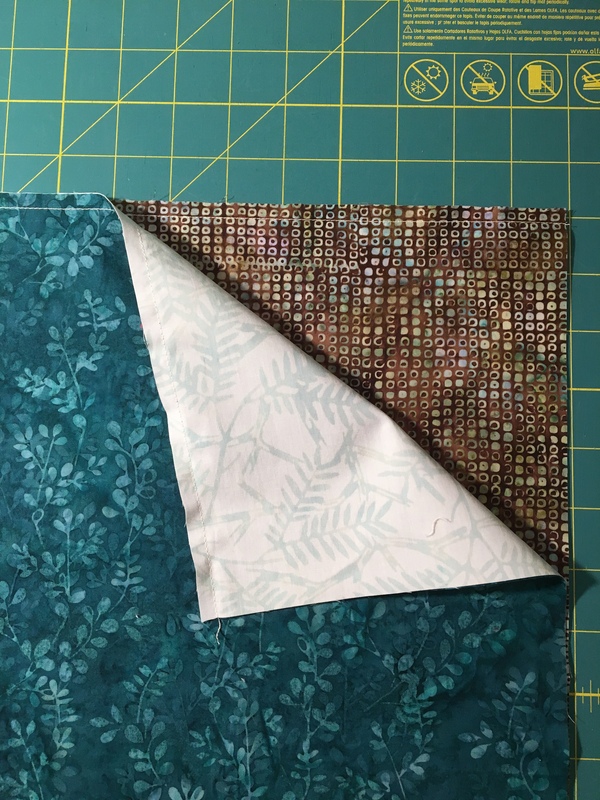 If you want these to end up pressed to the dark side then remember to press to the light side when you are first sewing your squares together in pairs …. 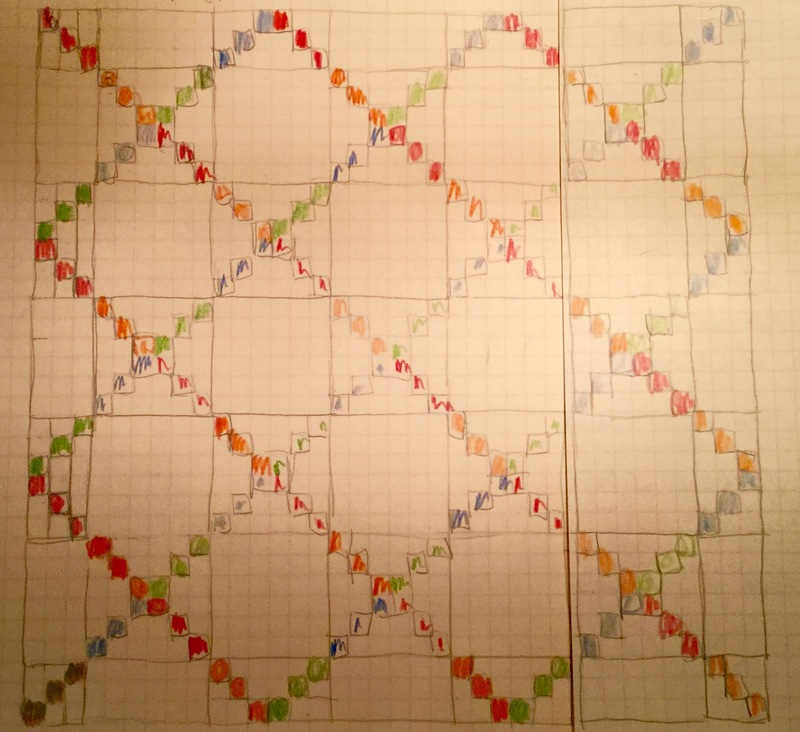 I did not do this in the example … live and learn! 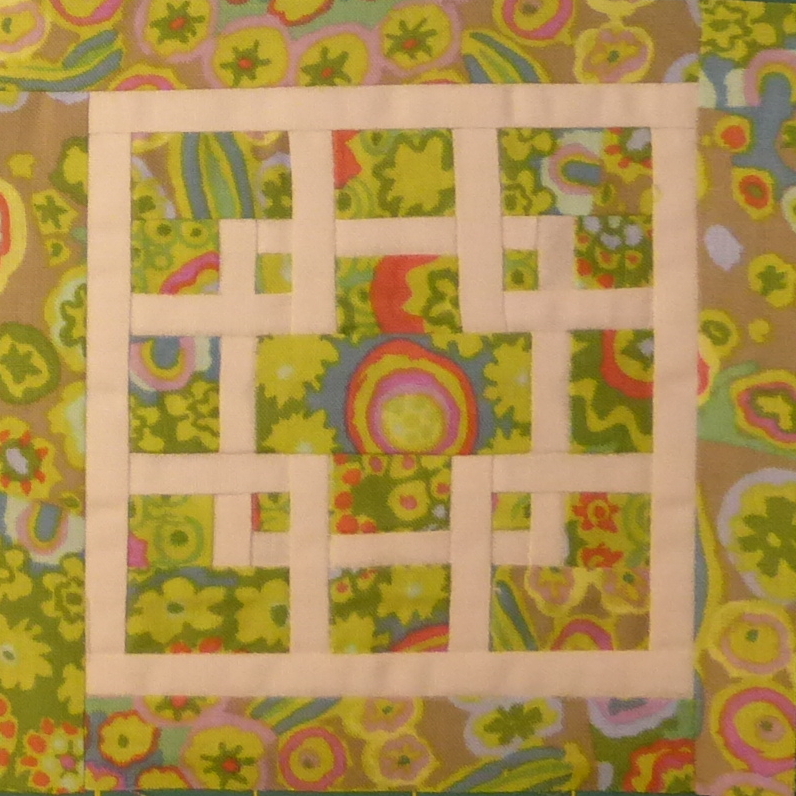 Rearrange them and sew them together again to complete your Harmonic Convergence square. 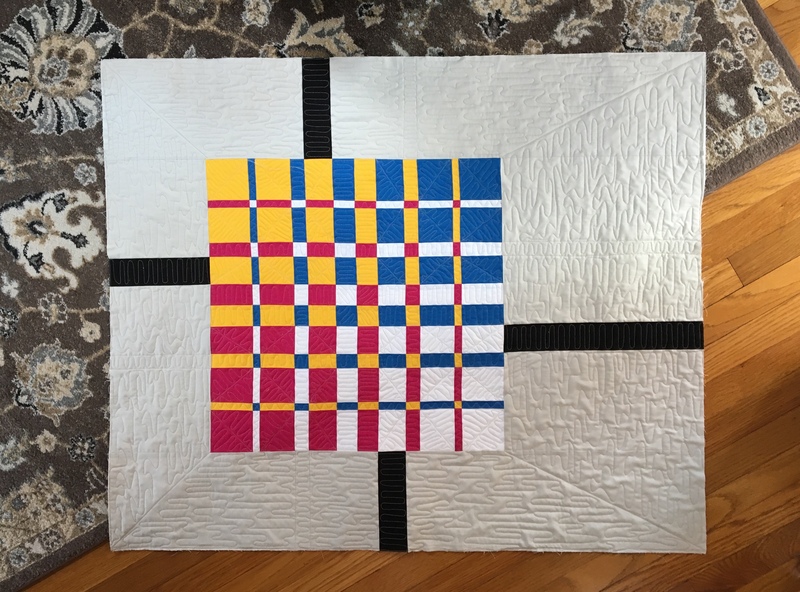 I finished one of mine on point, two of the others with borders, and the bright solid colored one is finished with some modern asymmetrical negative space. 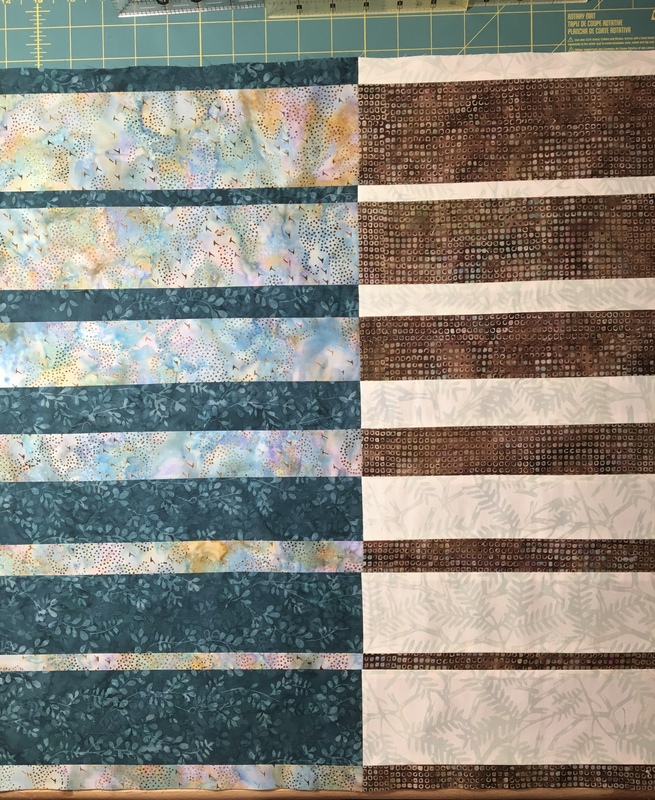 I am I the process of quilting these, and finding they are a great way to practice my free motion quilting. 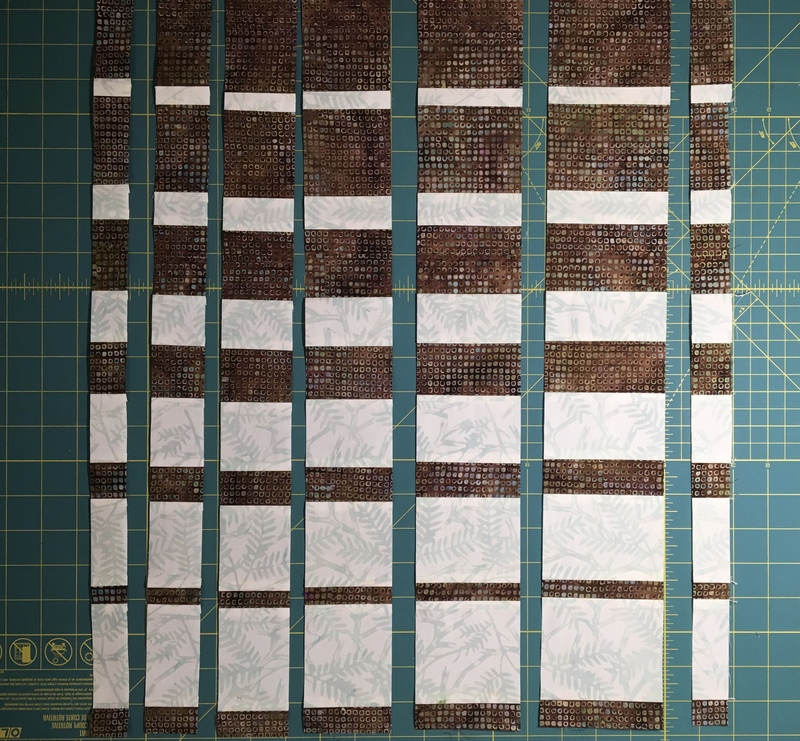 I designed my modern convergence in Electric Quilt 8 and printed an outline of the quilt to draw out my quilt plan. 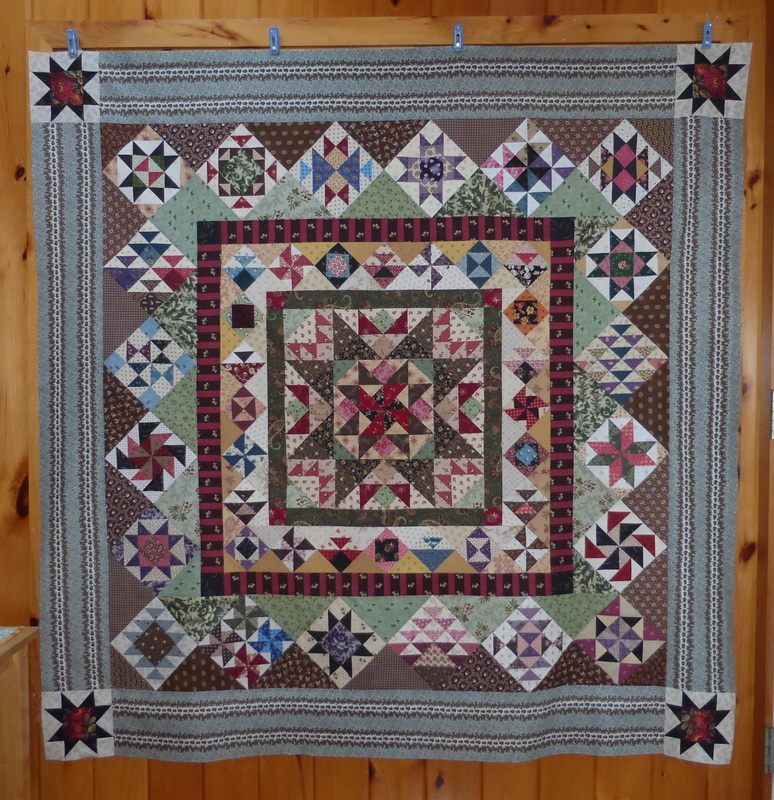 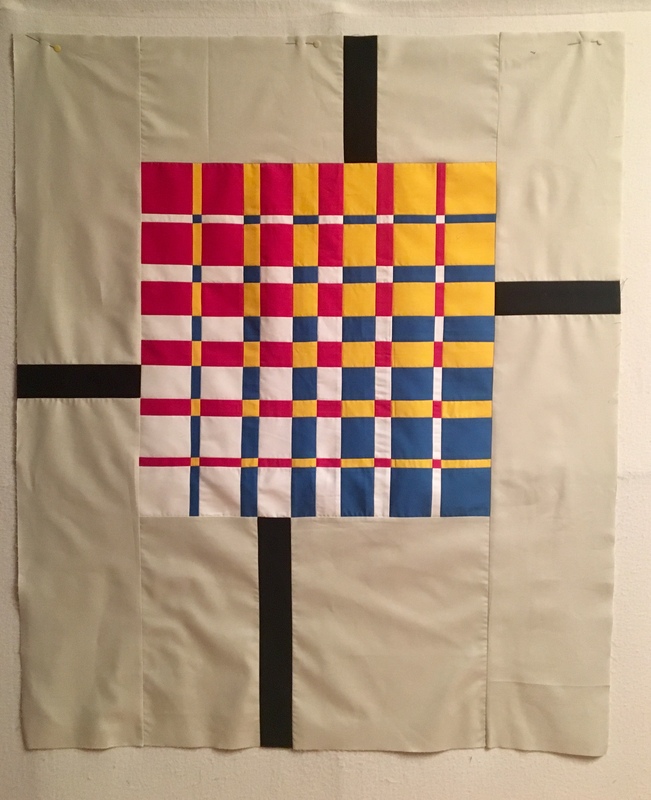 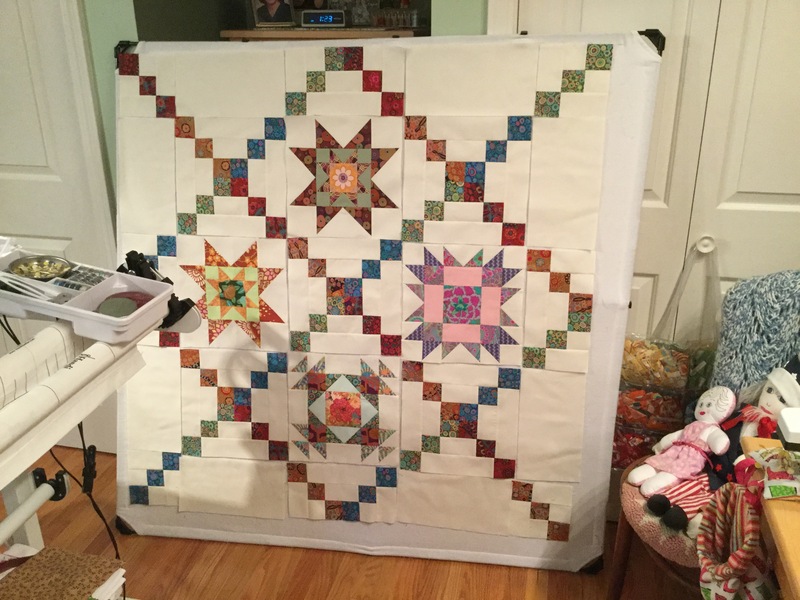 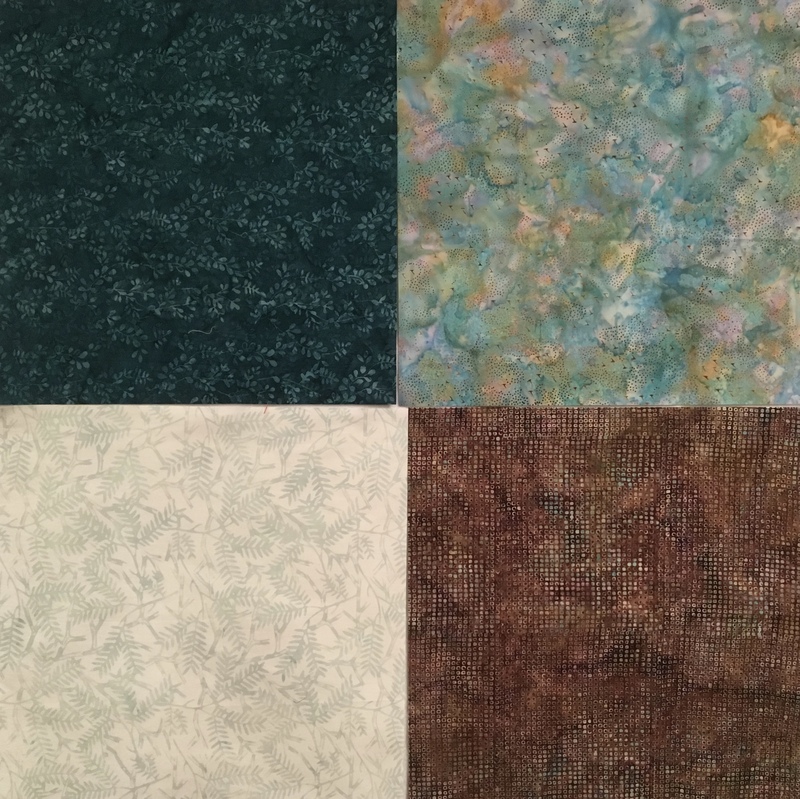 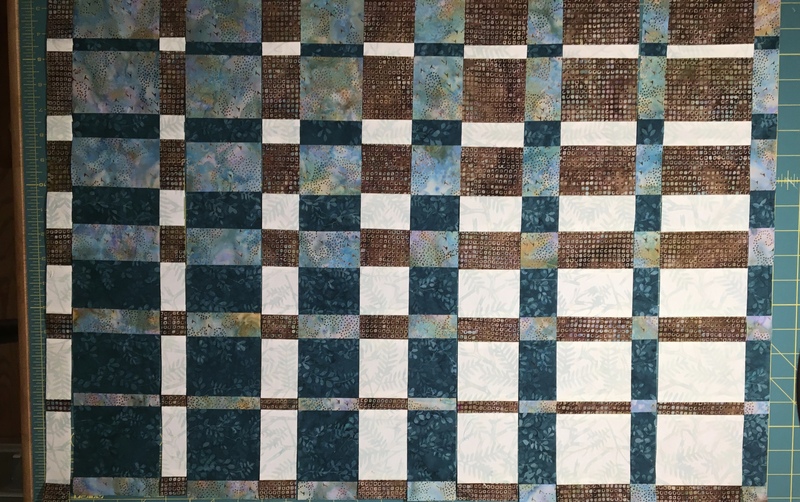 This entry was posted in Quilts and tagged convergence quilt, electric quilt, modern, modern quilt, new england quilt museum, Quilters Common, Ricky Tims on March 5, 2019 by pmegio. 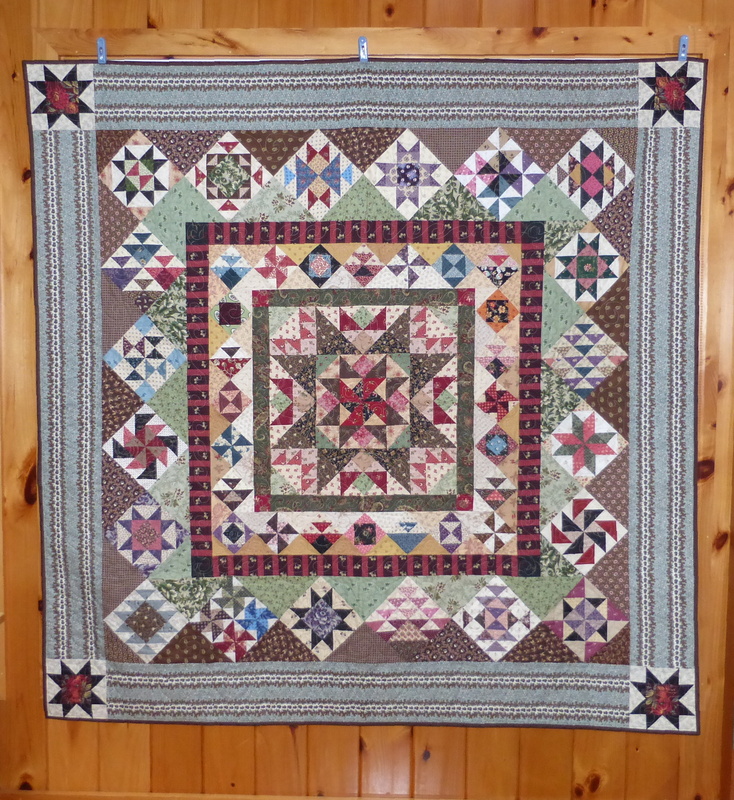 Well, the splendor of autumn has past, and now we are faced with bare trees until Spring. 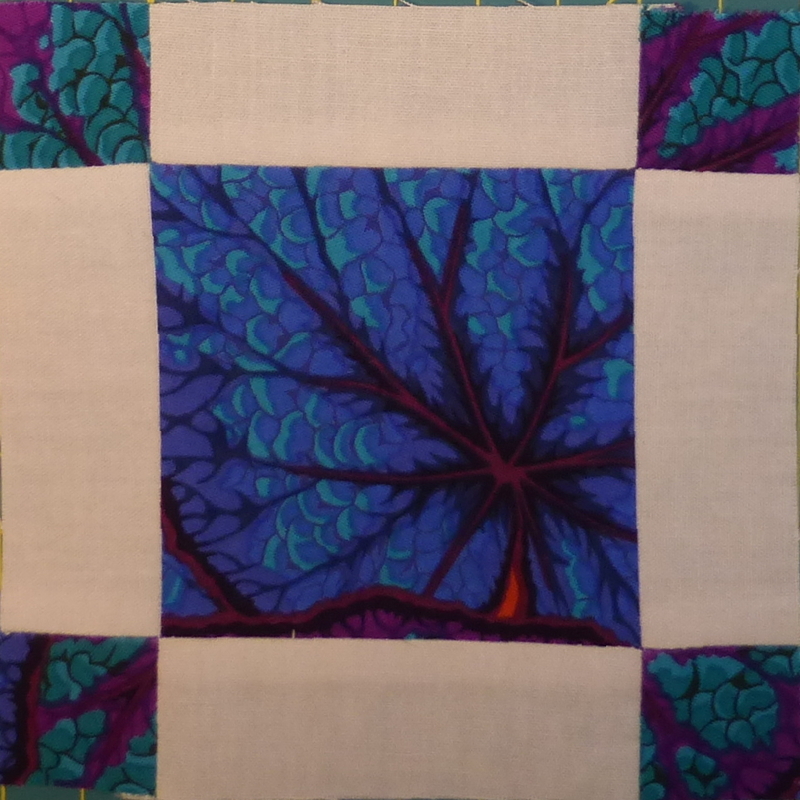 I really did enjoy the change of the season this year and was inspired by all of the bright autumn colors in the trees. 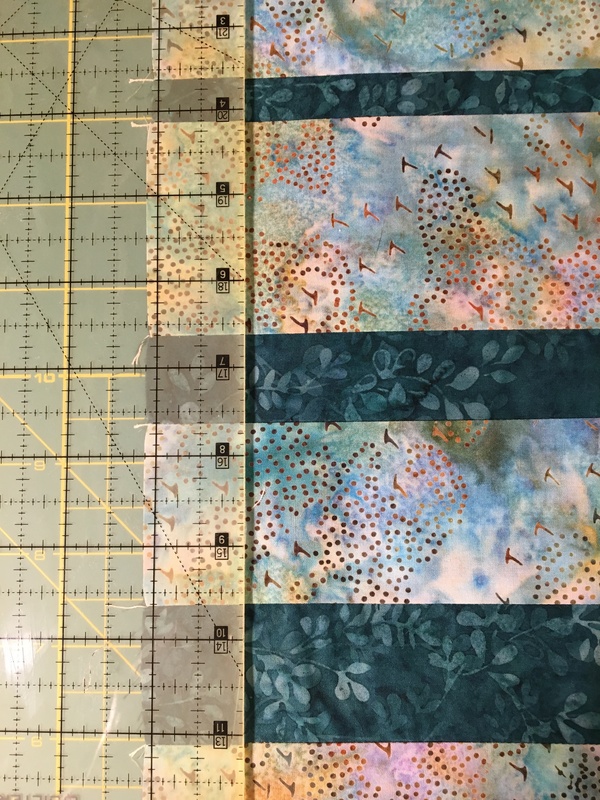 Also, one of my Block of the Month projects fit right in, because I chose the Harvest Road color scheme for my BOM that I am doing at Quilter’s Common. 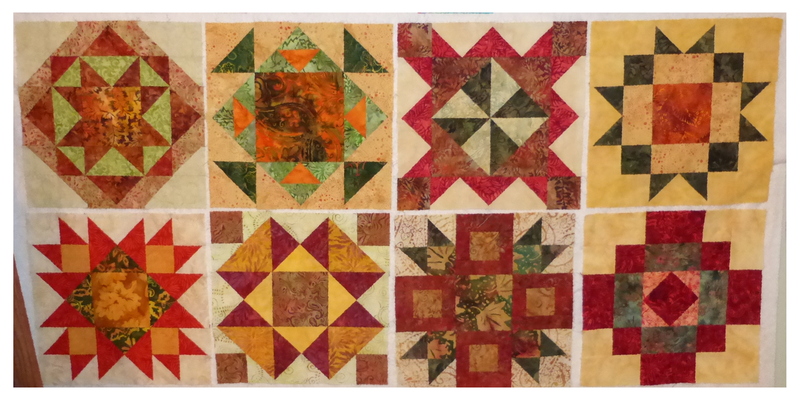 So, for one last bit of autumn inspiration in my quilting I put this table runner together for my friends who were kind enough to invite my husband, his Mom and I for Thanksgiving Dinner. 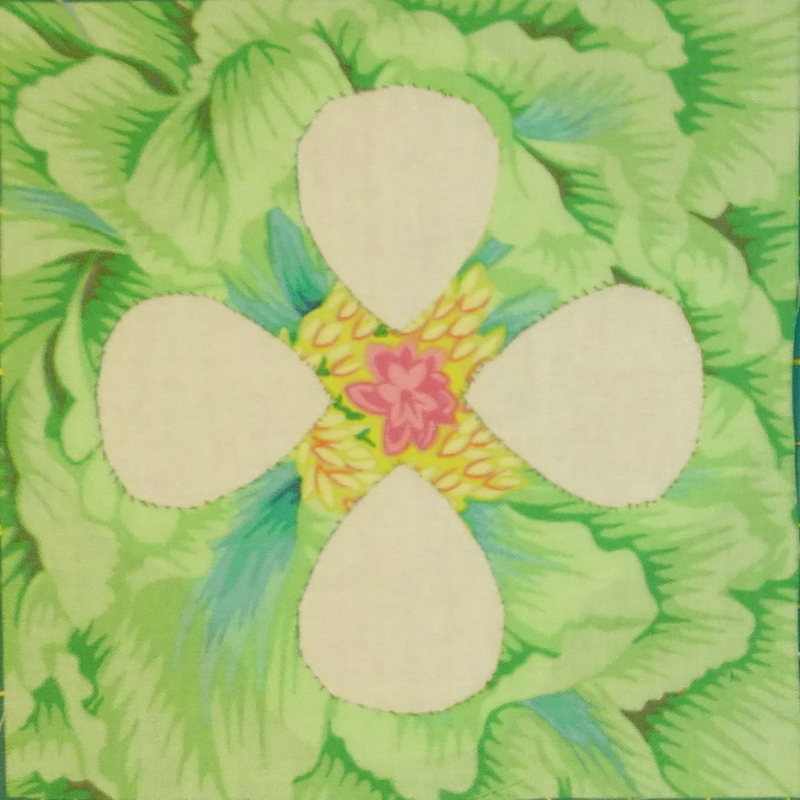 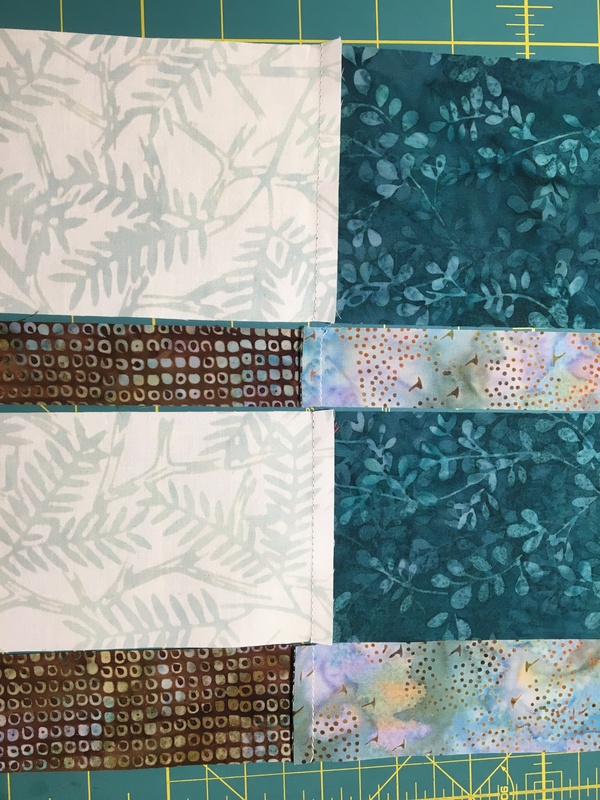 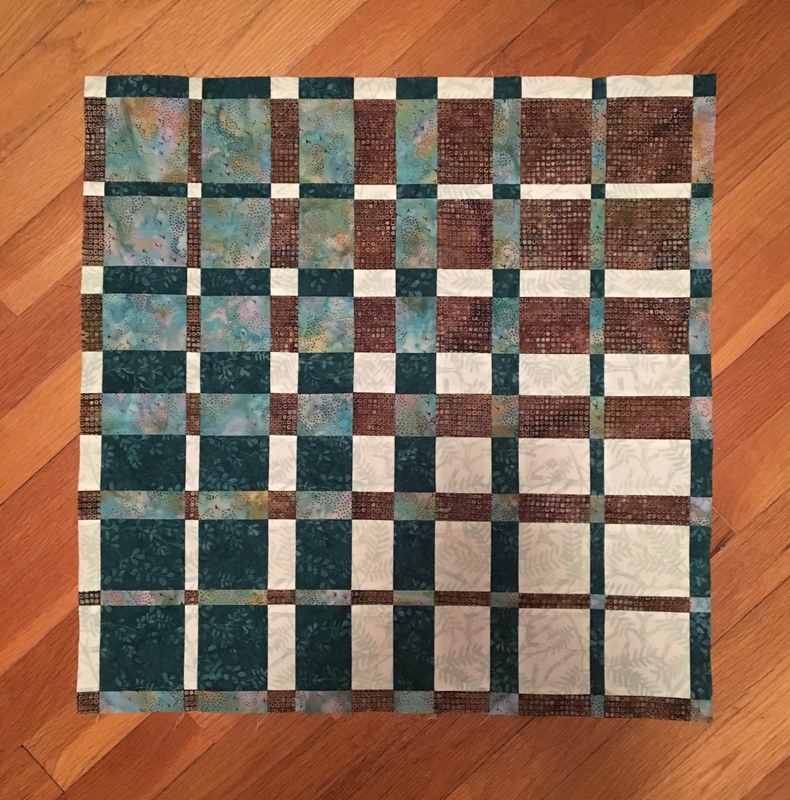 I picked three of the block patterns from the BOM and stayed close to the colors that Antoinette chose for two of them, but decided to go with green instead of yellow for the center block. 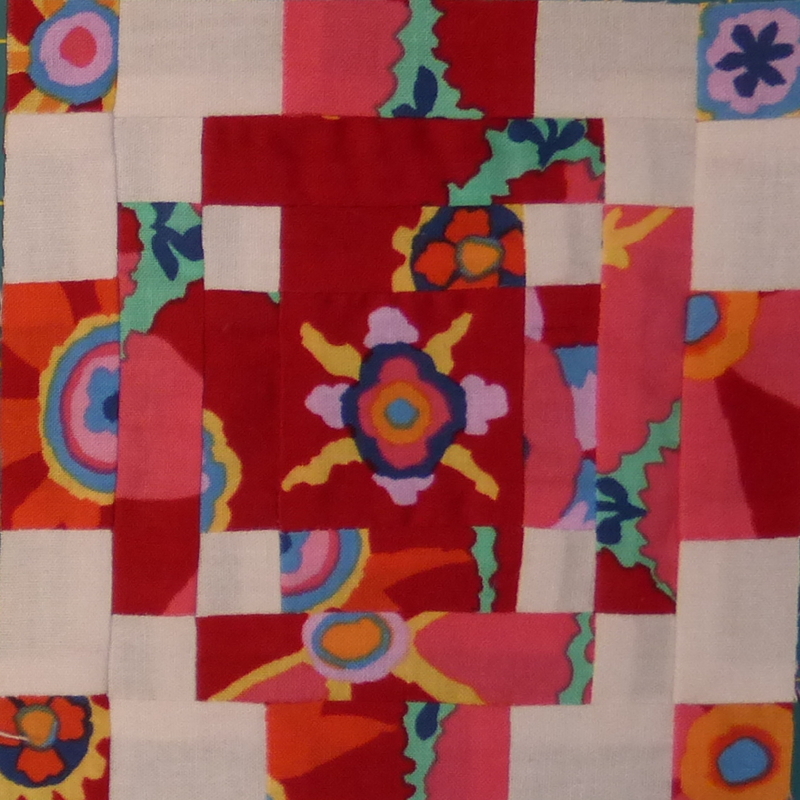 Now I am going to have to be inspired by the colors of the Holiday and also the ice blue skies of winter. 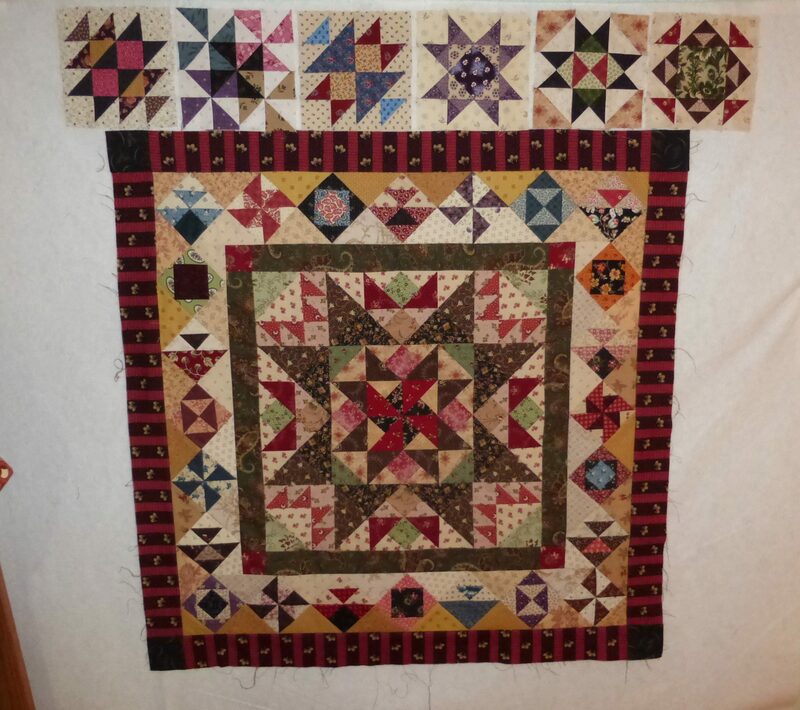 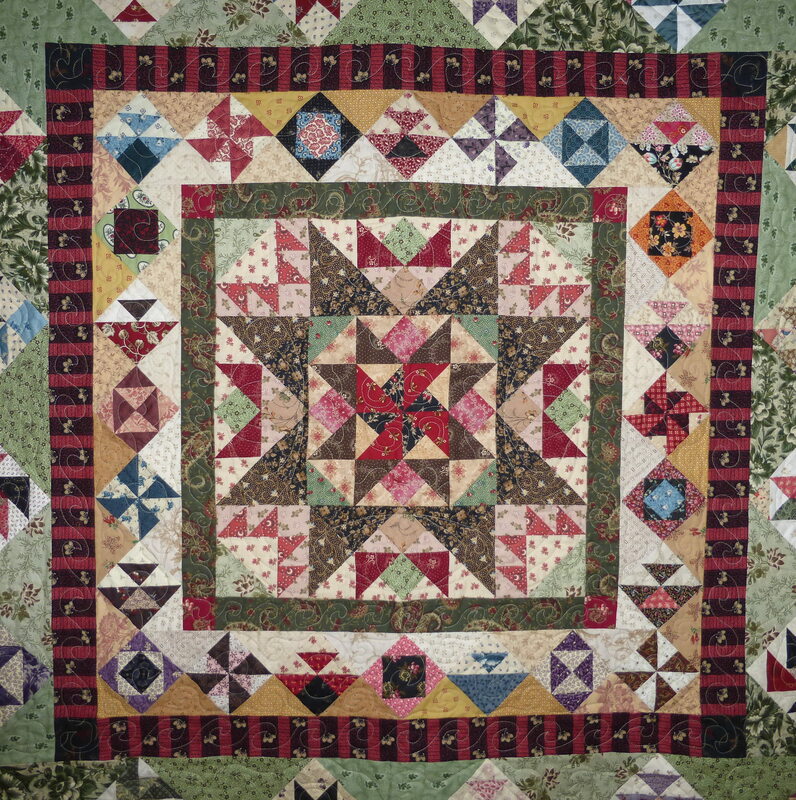 This entry was posted in and Other Stuff, Quilts and tagged autumn, BOM, quilt, quilted table runner, Quilters Common, table runner on December 1, 2013 by pmegio.